When you’re planning an event, whether it’s a wedding, charity gala, corporate event, or something completely different, the event décor makes the party. Your guests will remember the theme and the décor for years to come. At Track Seven Events, we help you select or create the theme for your event, and then we go to work on your décor, leaving no detail unattended to. We can transport your guests to the Far East with our Asia event décor, including sumptuous red and gold seating, traditional Asian sculptures and authentic shoji screens. Or, choose an Egyptian theme with images of hieroglyphics and the mighty Sphinx. If you’d prefer to stay more local, choose a Hollywood theme, complete with a red carpet and vintage movie clips, or head to New York and the glitz and glamour of Times Square. Your guests can get their Great Gatsby on with a Roaring ‘20s theme, run away and join the circus, or shroud themselves in mystery at a masquerade ball. Plan a safari in the Serengeti, pay tribute to your favorite sports team or follow the yellow brick road to the Land of Oz. The choice of theme is up to you, and we will bring it to life. If you have a different or unique idea in mind for your event décor, we can make it happen. Our creative designers and artists will bring your theme to life with more detail than you thought possible. Whether it’s a dream wedding you’ve had in mind since you were a child, or a corporate launch of a revolutionary new product that needs a specific atmosphere, Track Seven Events can make your vision a reality. Even if you’re not sure exactly what you’re looking for, our creative staff can help you describe the feeling you want, and create that ambiance for your special evening. We can suggest or design a theme that produces exactly the effect you envision. Once you’ve chosen your event décor, the rest of your event will fall into place. The food, music and entertainment, lighting, favors or giveaways, and even invitations and announcements will be chosen to correspond with your theme. Every single detail becomes part of the overall design, and no detail will be overlooked. Trust Track Seven Events to bring every element together, and you’ll see why we’re Atlanta’s most sought-after party planners. Using the event décor as the basis of your party will make your guests feel as though they have been transported to a different place or time. They’ll leave Atlanta behind and feel like they actually are in Hollywood’s golden age or Cleopatra’s time. The effect of the right event décor can be downright magical, and your guests will be simply amazed. With the right event décor, your party or gathering will be the social event of the season and will have your guests talking for years to come.  Contact Track Seven Events, Atlanta’s favorite party planner, to begin planning your event today.